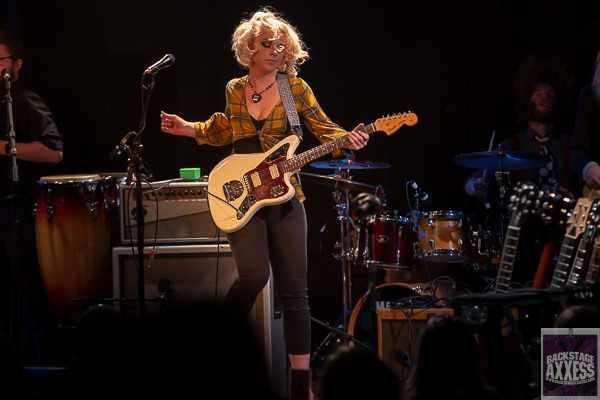 Samantha Fish brought her latest tour to the Tralf Music Hall in Buffalo, NY last Wednesday night for a highly anticipated sold-out show. It has been 6 years since she last appeared in the area and a lot has changed since then. She has acquired numerous awards, obtained best selling albums and built up a huge following of rabid fans within that time. 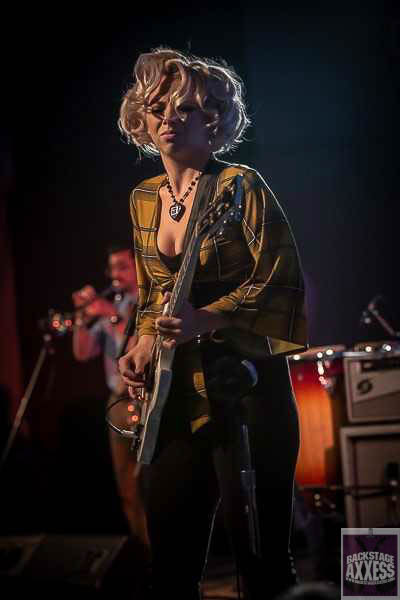 If you have never seen Samantha Fish live, try to picture Marilyn Monroe who plays guitar like Stevie Ray Vaughan and sings like Aretha Franklin. Comparisons aside, Fish has carved out her own following with pure talent. 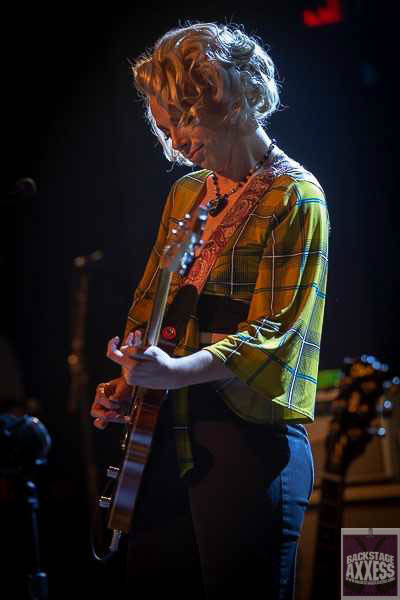 She writes, sings and plays and oh…. can she play. 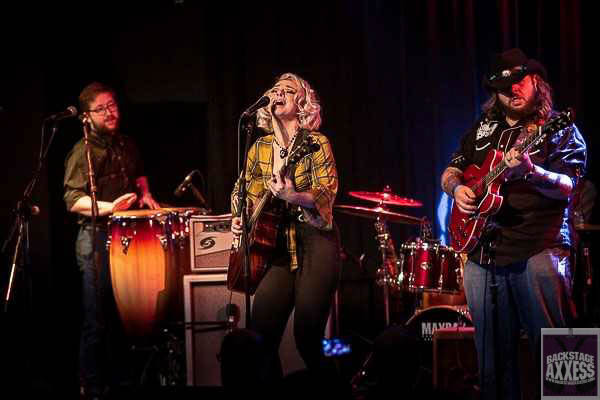 With 10 years of recordings behind her, the 30 year old Fish has been touring constantly in support of her new record label, Wild Heart Records. Opening the show was Jonathon Long, a Louisiana blues guitarist the Fish signed to Wild Heart. 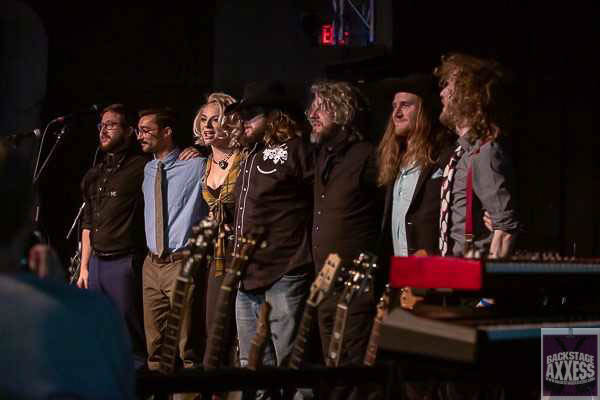 His latest album, “Bury Me” showcases the talented Long as the new torch bearer for Southern blues rock. His short set was well received by the supportive crowd. Long is a very expressive player with big talent and an endless array of expressions to match his fiery licks. As Fish took the stage, the warmed-up crowd was buzzing with anticipation. She did not disappoint. From the first notes of “American Dream” you could tell this was going to be a special show. “Chills and Fever,” the title track of her 2017 album, followed and she was just getting warmed up. “Blame it on the Moon” saw her bring out some sweet slide guitar in an way that made it into a second voice to compliment her soulful singing. “Lost Myself” started with a slow, throbbing beat the built into a raging tidal wave of rhythm to end with a wailing guitar solo that brought some fans to their feet as the song finished. 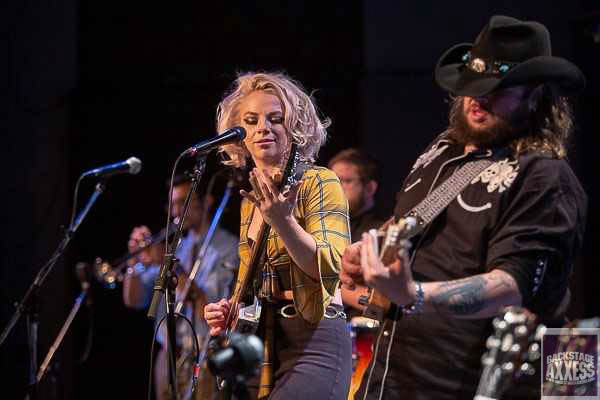 Backed by a horn section, Fish tore into a little boogie with “Little Baby” and then changed up the mood with a smoky “Blood in the Water.” The ease with which she plays shows a seasoned blues artist at a relatively young age. She switched from electric to acoustic for “Go Home.” Fish brought out some deep soul wrenching playing and vocals that was met with yet another standing ovation. This show took on a special air of greatness, like you were witnessing a whole performer at the top of her game. 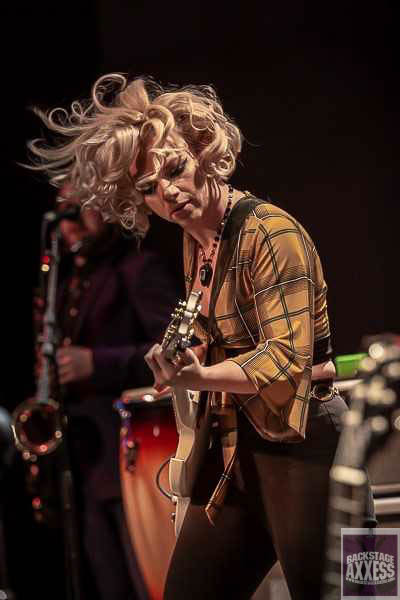 It was clearly more in the extended “Somebody’s Always Tryin” where Fish show total control over her instrument from her knees as she manipulated her effects boxes to draw out sounds that were hauntingly ethereal and rooted in a sleepy blues expression. It was the magic moment of the show for me. Just when you thought she was done with surprises, “Don’t Say You Love Me” featured a torchy lyric with some fiery playing that rose above traditional blues. Ending with the Rolling Stones tune “Heartbreaker” with a show of force that left you feeling this was better than the Stones version. It was a younger, more forceful and emotional performance than the Stones have played in the last 30 years. A three song encore followed that left everyone raging and breathless. Joined onstage by Long, Fish wrapped up the show with her cigar box slide guitar playing “Shake ’em Down” with Long and trading licks with him thought the tune. She left the stage promising to be back. The crowd ate it up and left fully satisfied. When this Fish is on the menu, you would eat it up too! We would like to thank Reuben Williams from Thunderbird Management for the credentials to review the show.